Seven Books, Seven Moments in Time. The Great Gathering refers to our continued exploration of where we have come from, and where we are going. 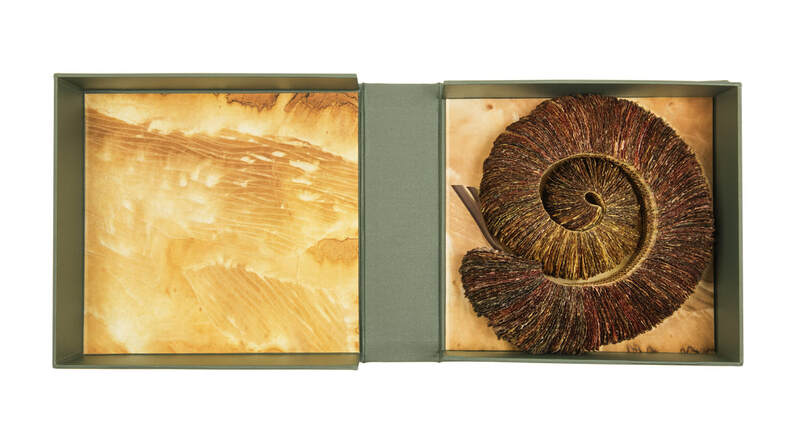 Combined the seven volumes tell an amazing story spanning 650 million years. 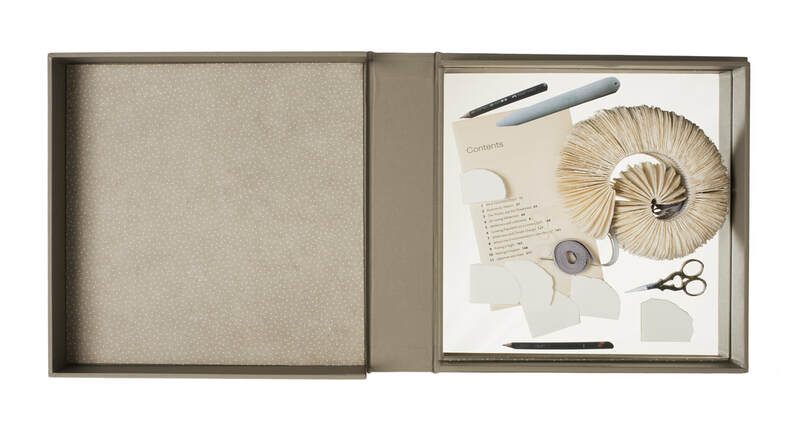 Sculptural in form, each book reflects a moment of this journey. 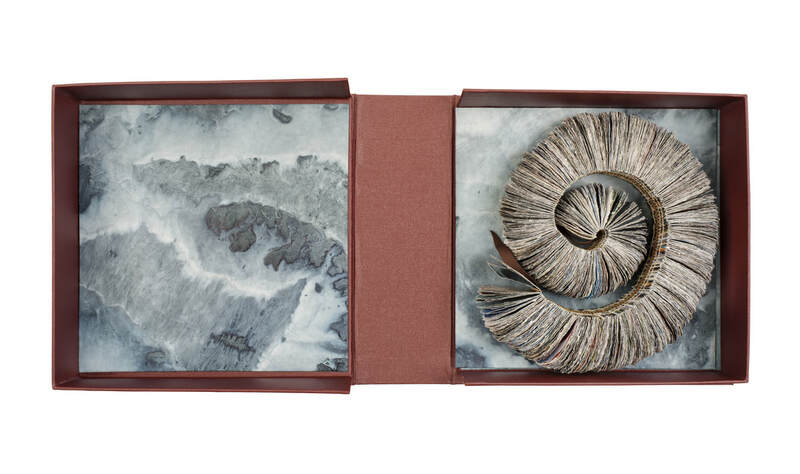 From black holes and dark beginnings, through ocean and sediment layers, Darwin's On the Origin of the Species, and recycled National Geographic magazines the work charts the inevitability of change. They are a response to visiting Museum collections, in particular the Natural History Museum, Colchester and the Sedgewick Museum of Earth Sciences Cambridge. Fossils hold the key which have enabled us to unlock the story of our Origins - from the largest creatures to the smallest organisms. The 19th century saw an explosion of knowledge and understanding, culminating in Darwin's publication of On the Origin of the Species. By piecing together the riddle of the fossil record, Darwin and his contemporaries began asking revolutionary and challenging questions, the results of which are still felt today. 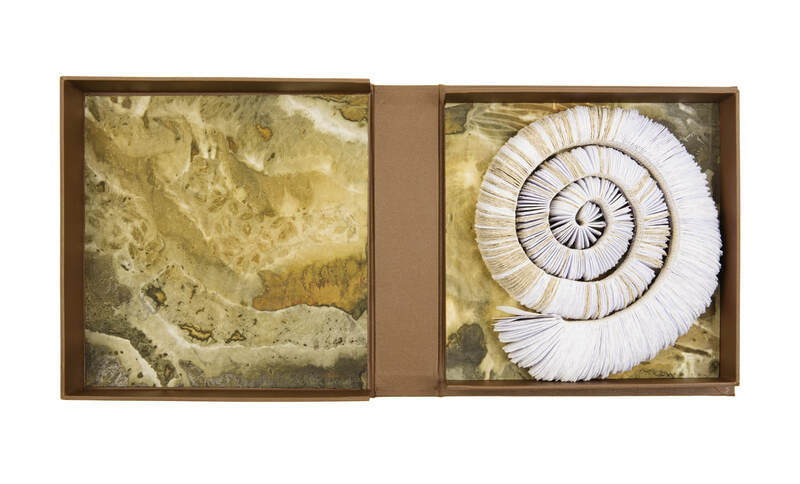 ​Using the ammonites spiral shape as a starting point these books represent the unfolding story of evolution. 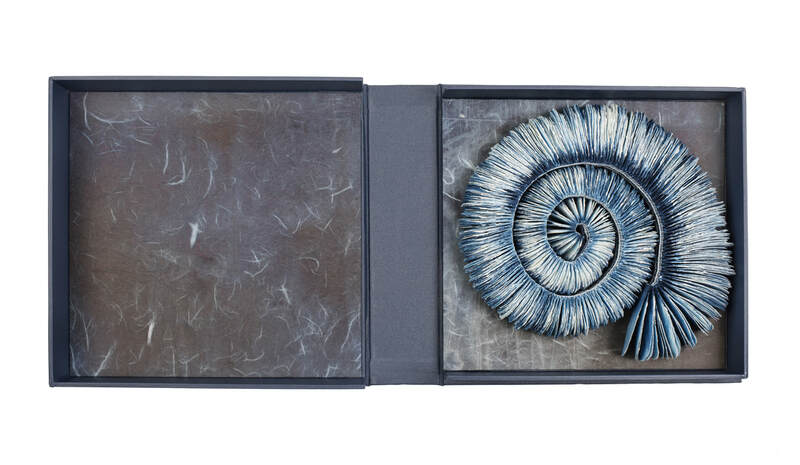 The humble ammonite is an abundant index fossil, easily recognised, and a regular feature in Museum collections. 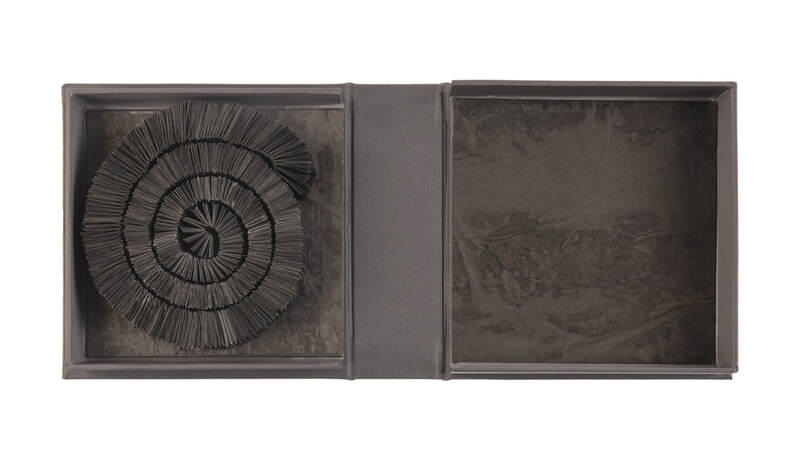 Often associated with journeys, symbolically these particular fossils are believed to have absorbed the knowledge of the Universe from across the centuries. 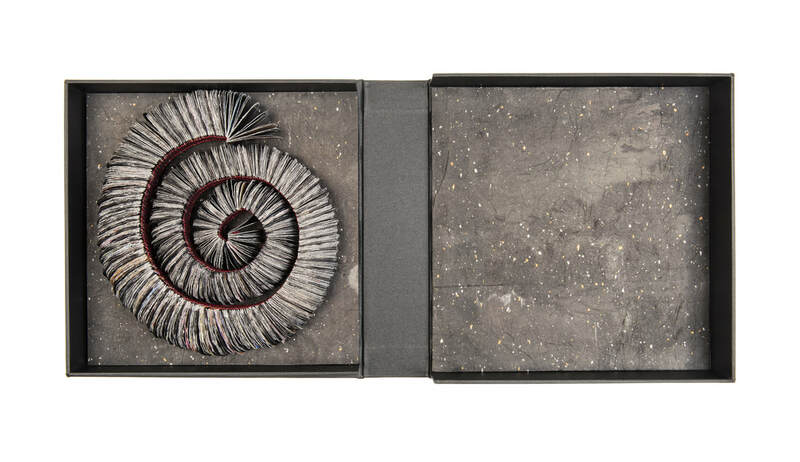 These seven volumes form an installation which explores earth's history and reflect elements of the displays in the Museum. The number seven is specifically chosen referencing the building of the Natural History Museum Colchester - a de-consecrated church - and linking to the number of days in which God is said to have created the world. The work encourages the viewer to consider themselves as part of a larger ongoing story. The installation was shown in the Natural History Museum, Colchester throughout March - May 2016.